A painfully outdated display and absurd price doom the Z30 from the start. Business users want it all. They prefer paper-thin laptops with good performance, that also don’t want to skimp on portability, display quality, or connectivity. 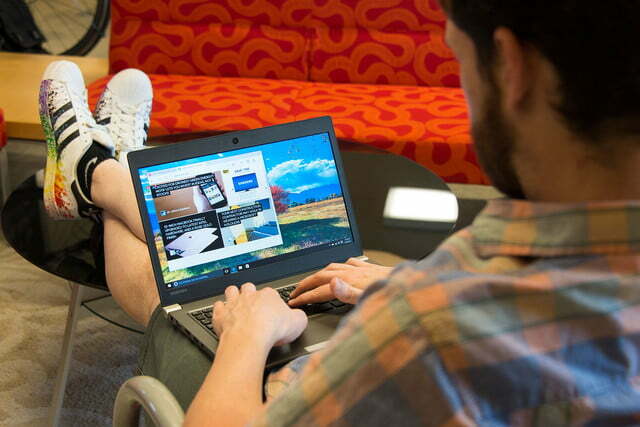 For these users, a laptop is often their only, or at least primary, machine. 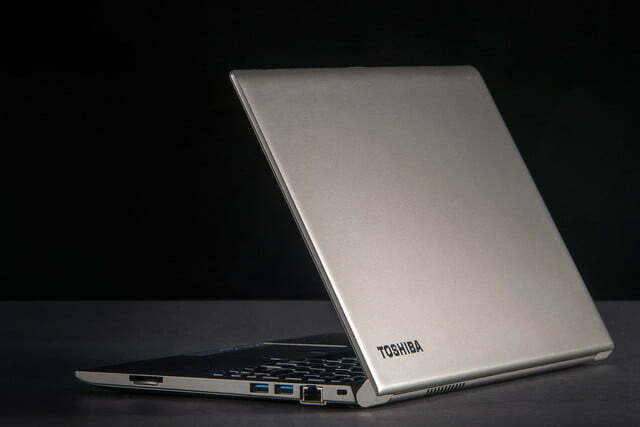 It’s hard to offer everything in one package, but Toshiba is trying with its Portege Z30-C1310. With an Intel Core i5-6300U Processor, 8GB of DDR3 memory, and a 128GB M.2 solid state drive, this laptop offers a decent amount of power, all in a lightweight magnesium alloy case. Windows 7 is available as a downgrade option, which is useful for enterprise customers, and with a three-year warranty, you can expect reliability. That’s an impressive list of upsides — but are there any hidden weaknesses? 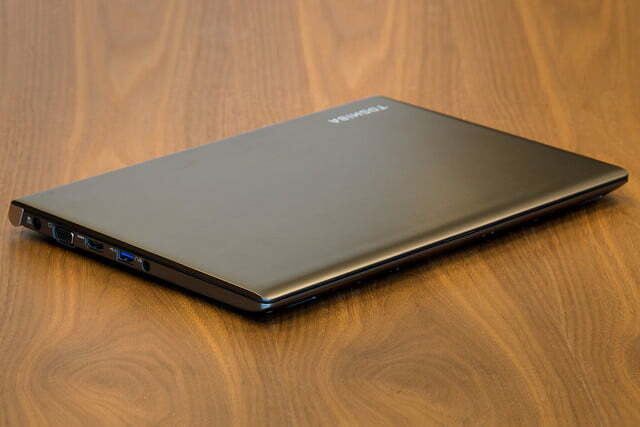 This is an attractive little laptop, a straight-forward take on an ultrabook. The device manages to be lightweight, at only 2.65 pounds, without seeming out-of-the-ordinary in this regard. It’s also slim, at 0.7 inches while closed, but again doesn’t bring attention to that fact. This is an understated laptop, a design that quietly excels. You’d be forgiven for thinking the chassis, which is built from magnesium, is actually plastic. The lightweight material feels different than, say, aluminum. But there are good reasons for using a magnesium alloy – it’s lightweight, yet strong. Not much flex can be noticed when you pick up this laptop, at least not on the bottom half. The panel behind the screen is less solid, however, and the bezel is textured plastic. This means you can flex the screen easily, and even cause visible distortions on the display. It’s not likely to happen in day-to-day use, but it’s distracting when it occurs, and may indicate that placing heavy objects on top of the laptop will cause damage. Having said that, we really liked the feel of opening and closing this laptop. The hinge was smooth, with just the right amount of feedback. There’s a little bit of wobble after opening, but none during usage. 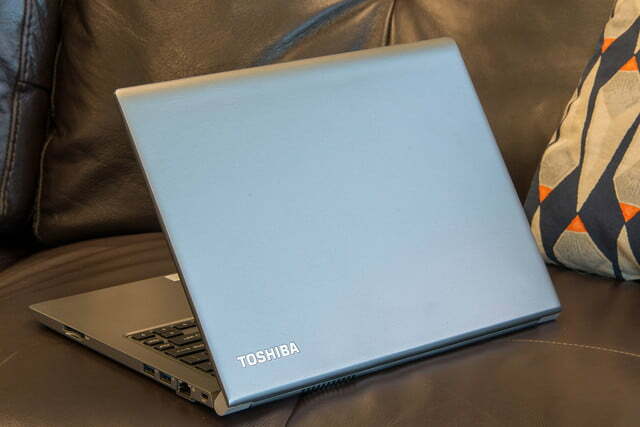 Like many business-grade laptops before it, the Toshiba Portege includes a rubber pointing stick between the G, H, and B keys. The rubber nub works exactly how you might remember, giving users a low-friction way to move their cursor. There’s something slightly shudder-inducing about the texture, but so far as we can recall that’s always been true of these tiny joysticks. Two buttons below the spacebar allow left and right clicking with your thumb while using the stick. This is an understated laptop, a design that quietly excels. 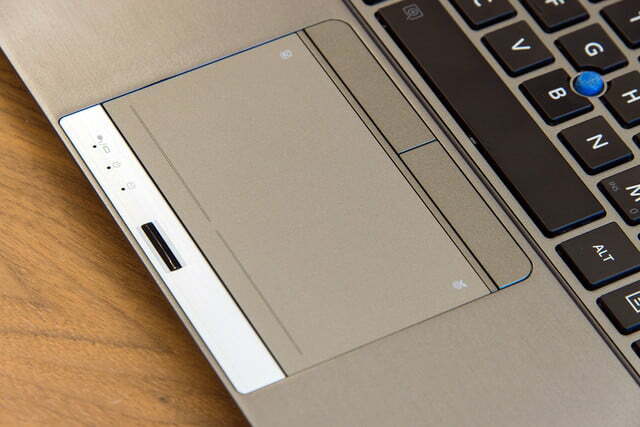 Those buttons leave less vertical space for the touchpad, which is also included. At two inches tall, we couldn’t move the mouse to the top of the screen in one gesture, which is unfortunate. The texture could be better too, as it’s rather gritty. But while the touchpad won’t win any awards, it gets the job done. Tapping works for input, including two-finger tap for right-click and three-finger for launching Cortana, but if you prefer you can also click the bottom of the touchpad. These options, combined with the buttons, mean users can both left and right click in three different ways. Plug in a USB mouse and you’ve got a forth choice. The Portege offers a standard keyboard layout, and the keys themselves feel great if not premium. Typing is straight-forward, but we sometimes found ourselves wishing for more feedback. The keyboard offers backlit keys, which both looks great and helps in low-light conditions. While the keys are backlit, however, not everything on them is, which can be frustrating. If you’re in a dark room and want to adjust the volume, you’d better memorize which keys do that: the volume icons do not glow. Neither do any of the alternate key functions, from display brightness to mute. This is a maddening oversight that, for touch-typists at least, defeats the purpose of a backlight. The non-standard keys, which you are most likely to need visual cues to find, can only be identified in well-lit rooms. Rounding out the input devices is a fingerprint reader, which works perfectly with Windows Hello. If you’re tired of typing your password to unlock your computer, this scanner is a quick alternative. You’ll occasionally be told to move your finger right, or to move it more slowly, but with a little practice you’ll never need to type your password again. 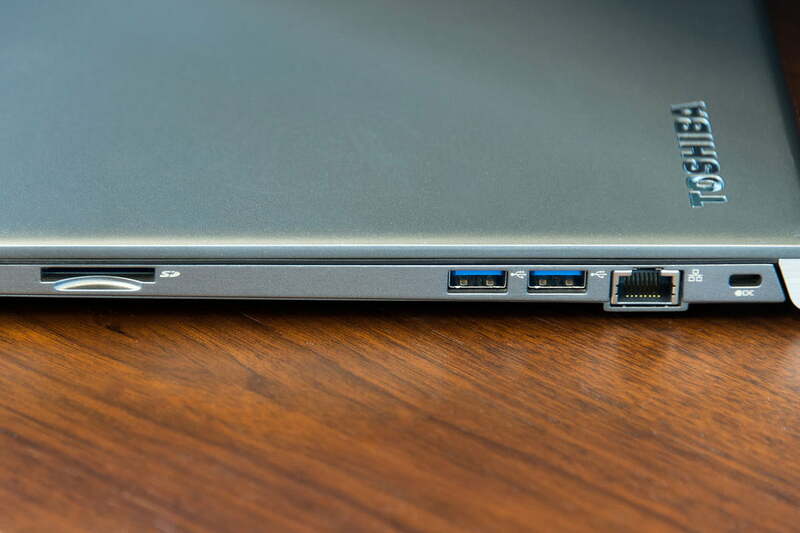 The Portege Z30 comes with three USB 3.0 ports, which is generous. 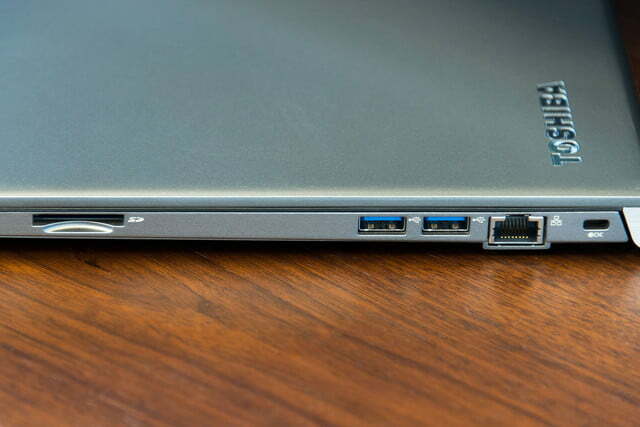 Many laptops offer just two USB ports, and most laptops offer at least one cheaper USB 2.0 port. Toshiba’s choice to include three full-speed ports means your flash drives will transfer at full speed, wherever you plug them in. Toshiba also didn’t cheap out on display inputs. There’s HDMI and VGA on the device itself. You don’t need to carry around any display adapters to plug this into a TV or projector, which is great for business trips (those stupid dongles always get left behind). You also won’t need an Ethernet adapter, should you get stuck in a hotel without Wi-Fi, as there’s a port right on the laptop itself. An Intel Dual Band Wireless 8260 card provides both Wi-Fi a/b/g/n/ac and Bluetooth 4.2 support. A headphone jack is also included. Really, it’s hard to think of any ports that are missing, except possibly USB Type-C (which remains a relative rarity at this point). You can plug just about anything into this laptop. The Portege Z30 offers 1,366 x 768 resolution, which is quite a bit less than the 1080p we’ve come to expect. At this point, phones with full HD are commonplace, and if you own one a 13.3 inch display with a resolution this low is going to look blocky to you. It’s not cartoonishly bad, but it is unfortunate in a device at this price point. A low resolution display can make up ground by offering high brightness, great contrast, and strong color accuracy. The Portege does none of these things. Brightness, for example, caps out at 199.7 lux. Other laptops are closer to 300. It’s hard to use the Portege near a bright window, let alone outside. Contrast is just abysmal. 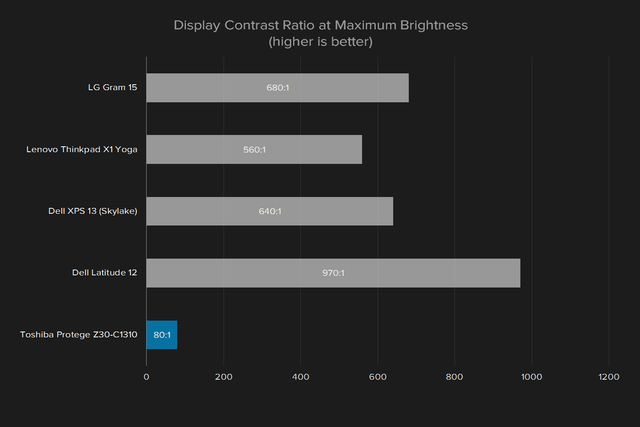 We saw an 80:1 ratio at max brightness, compared to 680:1 for the LG Gram 15, and 970:1 for the Dell Latitude 12. If you’re watching a dark movie, or playing a stealth game, expect to have trouble distinguishing between shades of black. The color situation isn’t much better. 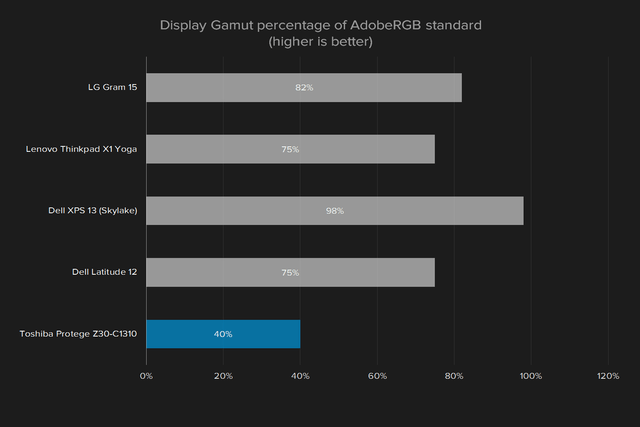 The sRGB scale was 52 percent. That’s awful. 100 percent is common, and anything under 90 is already a statistical outlier. So, the visuals are bad. And the audio isn’t an improvement. The speakers sounded flat compared to laptops we’ve reviewed lately, with bass entirely unrecognizable, and the rest of the audio spectrum blurring together. We always recommend users get external speakers for their laptops, but in the case of the Portege it’s necessary. The speakers are bad. The Portege offers an Intel Core i5-6300U Processor clocked up to 2.4GHz, which is a decent chunk of horse power. 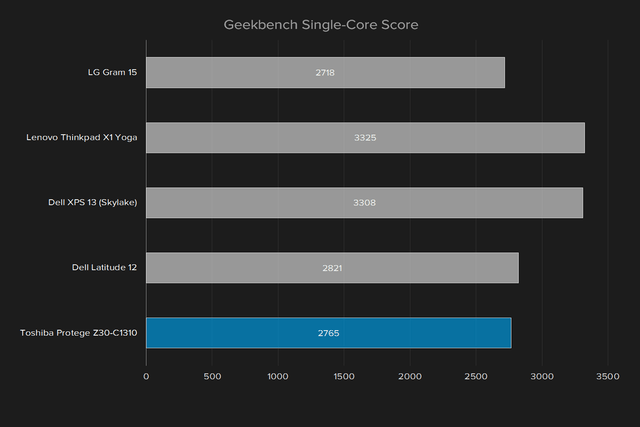 Our Geekbench results proved that. The Portege Z30 can stand proudly alongside its price-point competitors. 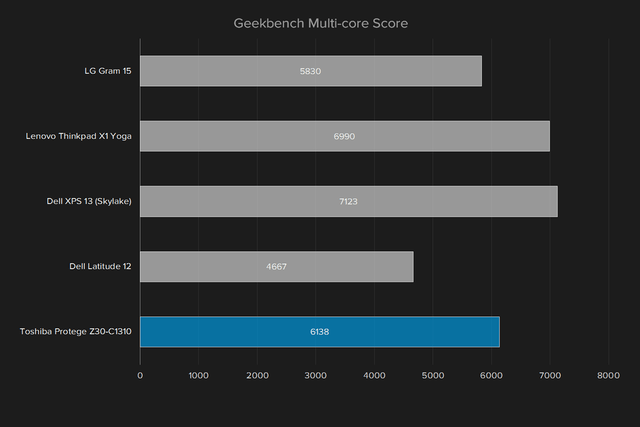 The Geekbench multi-core score of 6,138 beats out the Dell Latitude 12 7000 Series 2-in-1, even if it falls short of Lenovo Thinkpad X1 Yoga. 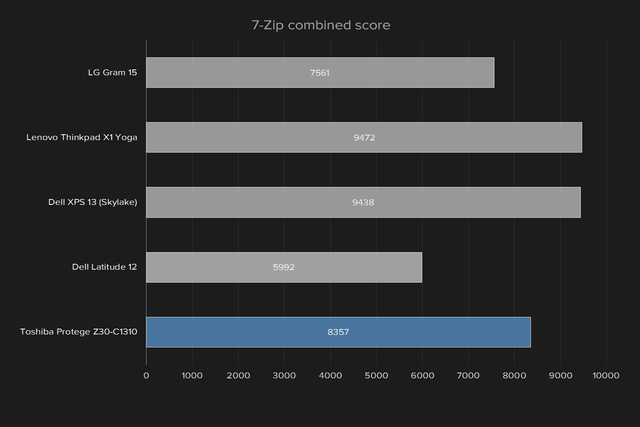 This a strong result that beats most laptops priced close to the Toshiba. You won’t have trouble crunching numbers, browsing the web, or other day-to-day computer uses. The hard drive puts on a less convincing performance due to the Portege Z30’s use of a 128GB Toshiba HG6 solid state drive, a mid-range SSD. 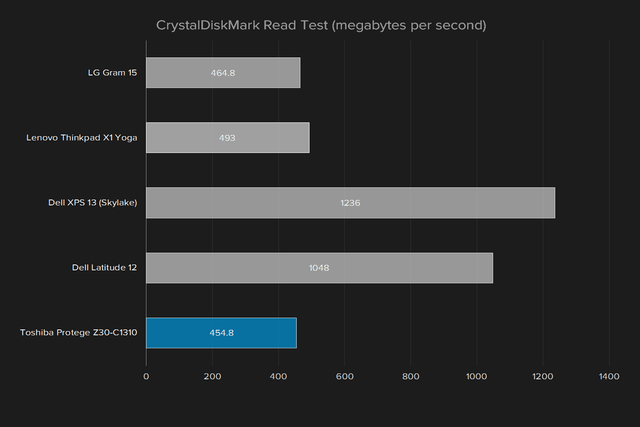 Crystal Disk Mark showed a read speed of 454 megabytes per second, and a write speed of 330MBps. 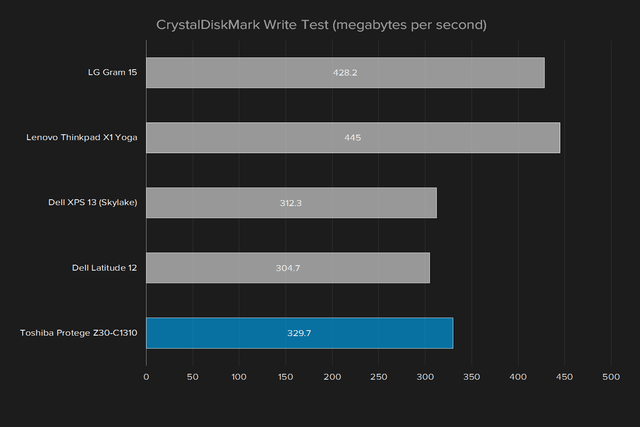 If you’re used to a mechanical hard drive, these results are great, but they’re not cutting edge compared to other high-end laptops. The Portege’s drive is connected via SATA, which means it can’t reach the speeds offered by drives that take advantage of the faster PCIe connection, offered in the Dell XPS 13 and other recent laptops. The HD Tune benchmark, which simulates a longer file transfer, showed an even slower read speed of 105.2 MBps. That is an outlier among machines we’ve reviewed. For longer transfers, you can expect things to slow down to speeds resembling that of a mechanical drive. The Portege uses onboard graphics, specifically Intel’s HD Graphics 520. It’s not a powerhouse setup, which makes sense considering that this is not meant to be a gaming machine. 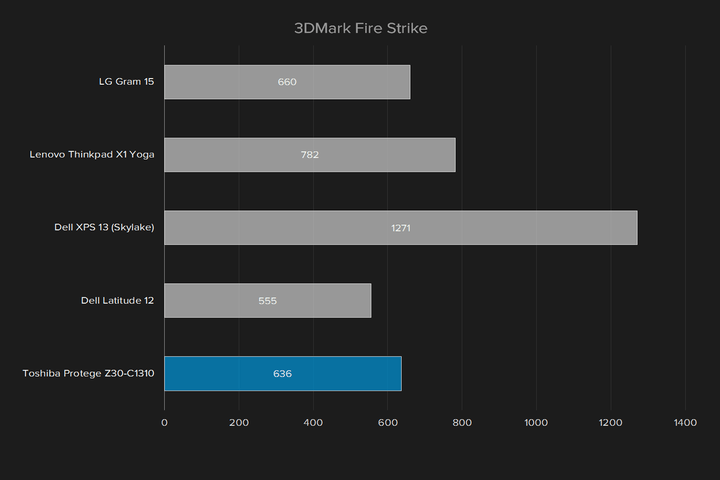 In 3DMark we saw a Fire Strike score of 636, and a Sky Diver score of 2,964. That’s typical of recent laptops with onboard graphics. The scores suggest gaming won’t work well on this device, but less demanding titles are playable. Loading Heroes of the Storm at the lowest settings, for example, we recorded an average framerate of 55 frames per second, which is tolerable. On its highest settings we saw 19 FPS, which is not. Counter Strike: GO was similar. At the lowest settings we saw an average framerate of 55 FPS; at the highest settings, 22 FPS. You can do some light gaming on the Portege. It won’t be a great experience, but it can work in a pinch. As we said early, this is a lightweight laptop at 2.65 pounds. 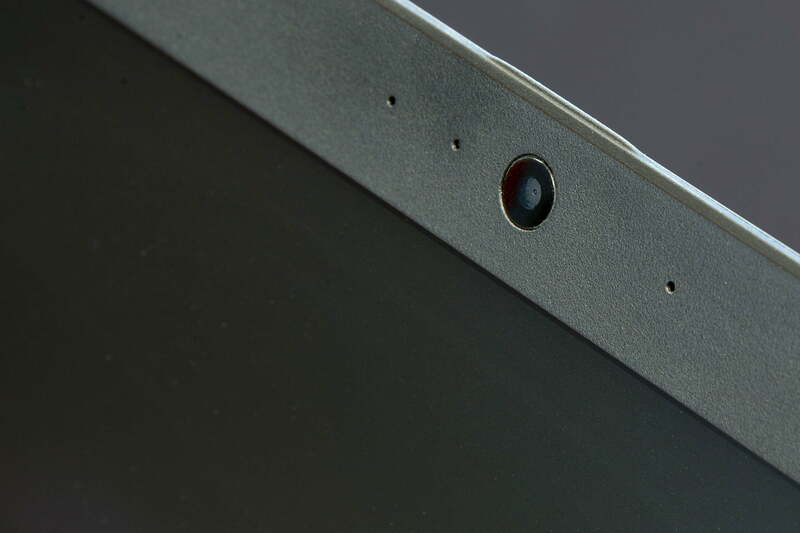 It’s also thin, at 0.7 inches while closed, meaning it won’t take up much space in your bag. 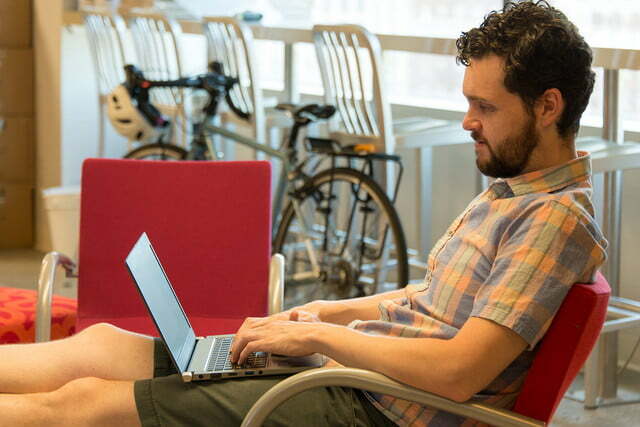 You can take this laptop anywhere without noticing that you’re carrying much of anything. Display quality is just abysmal, and the speakers aren’t better. You can depend on the battery lasting quite a while, too. The four cell, 52Wh unit lasted six hours and 13 minutes in our Peacekeeper battery test. That’s is better than average; the Thinkpad X1 Yoga, for example, lasted four hours and 48 minutes. The results were even better for our other tests. While continuously loading websites, the battery lasted eight hours and 5 minutes, and while looping a video it lasted a staggering 12 hours and 10 minutes. That’s enough video playtime to last a trans-Pacific flight. 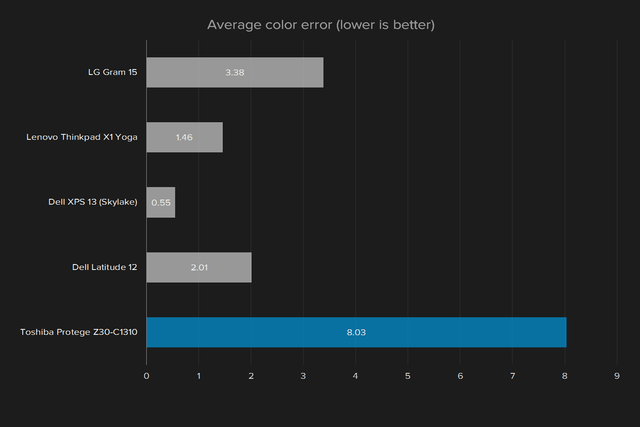 The low resolution display probably has something to do with these results, but they’re pretty great regardless. If you want a battery that lasts, this is a laptop worth looking into. The Portege has a fan, and we could hear it, but even while running benchmarks our noise meter couldn’t detect it over the ambient noise of our office. The fan won’t bother you during day-to-day usage. This laptop also doesn’t get too warm: the hottest point on the laptop was 92 degrees, warm to the touch but not hot. 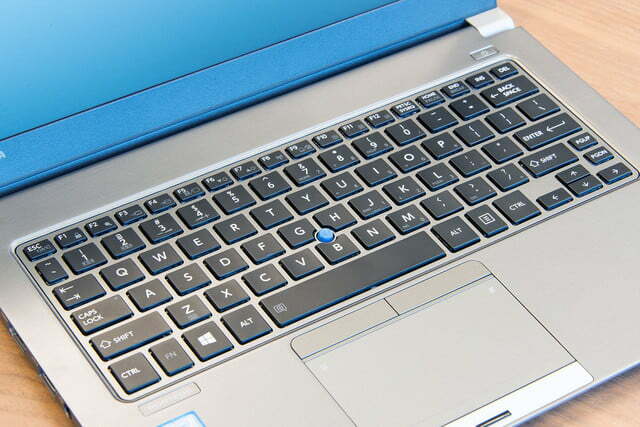 The Portege comes with a three year warranty, which is generous: most laptops are only covered for one year. There’s also international coverage, so if you need service while travelling there’s a decent change you’ll be covered. If you’re looking for business-class laptop, you’ve got options, so devices that hope to crack this market need to stand out in some way. 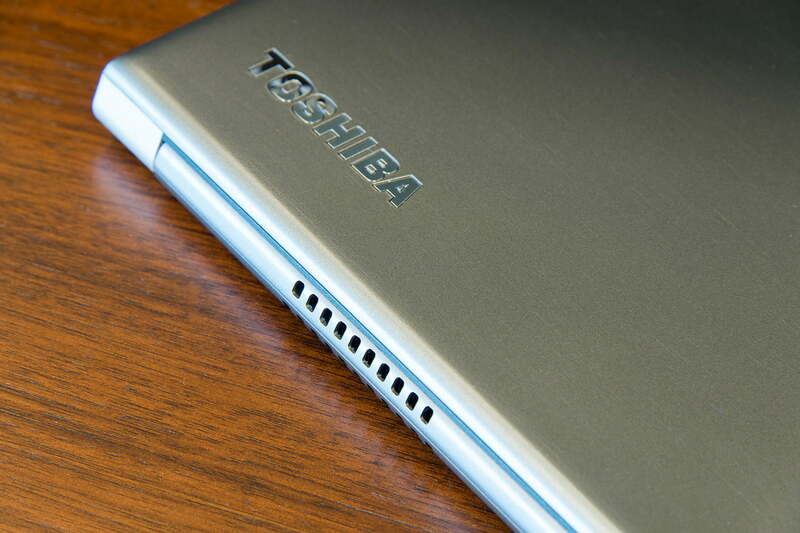 The Toshiba Portege offers good performance, ports for everything, and fantastic battery life, but at the same time has an awful display. This leaves it stacking up poorly against the competition. 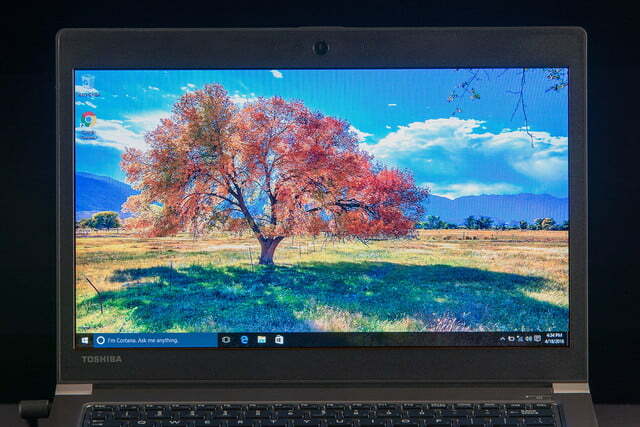 The Dell XPS 13 handily beat the Toshiba Portege in almost every benchmark we run, and costs around the same. Lenovo’s Thinkpad X1 Yoga also outperforms it in every way, and while a little more expensive, it’s 2-in-1 experience (the almost identical ThinkPad X1 Carbon, which is not a 2-in-1, is price competitive with the Toshiba). The Portege excels at nothing beyond its long-lasting battery, yet its price point puts it up against the best laptops ever made. It is, ultimately, the $1,225 MSRP that seals the Toshiba’s fate. Its flaws might be excusable were it a few hundred dollars less – though even then, the display would be hard to tolerate. At its current price, this laptop hasn’t a chance. You really can have it all in one laptop. But the Portege Z30 can’t give it to you.